I’m not necessarily a gear girl because I absolutely believe it’s not the tools, it’s how you use them, however, on the other hand, I truly appreciate great quality when I find it. I wish I would have discovered a complete list of the best of everything when I decided to turn things around. I have found the following weight-loss and training tools have stood the test of time, lasted way longer than I expected and helped me lose 25 pounds while getting stronger over the past year. 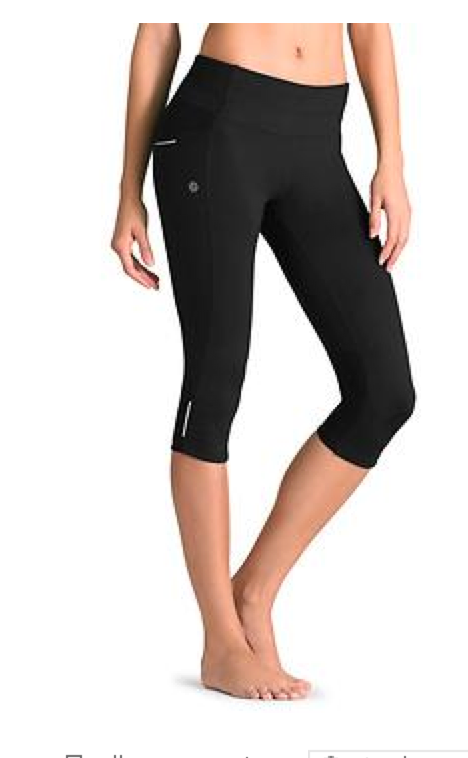 Athleta Be Free Capris and the Relay Capris are both flattering with an awesome fit, even as I lost the weight. Perfect for warmer weather and summer months, even through 95 humid degrees in Florida summer heat. 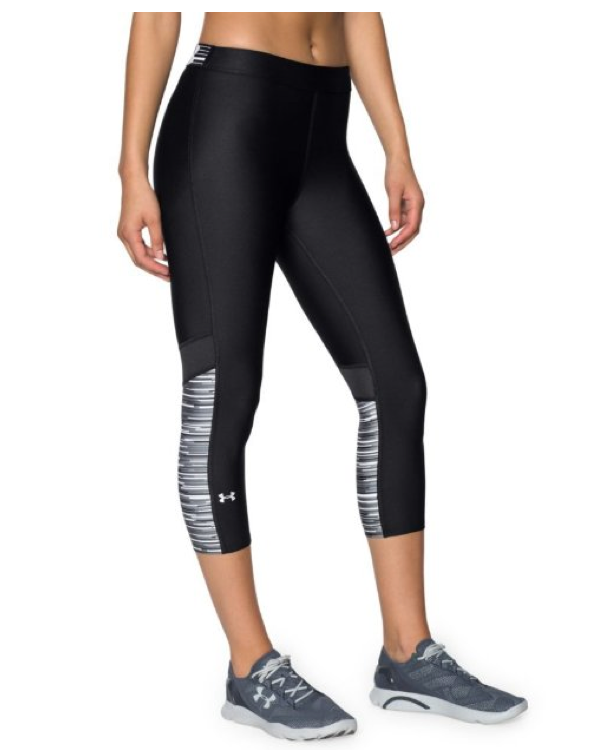 Under Armour Women’s Heatgear Capri Pants got me through the frigid temperatures last winter in New York, whether I was up at 5:30 am driving in my jeep to the gym or running to Soul Cycle in Union Square. I truly don’t believe I would have dropped the pounds if it wasn’t for tracking my calories. Now, I’m on my third Fitbit because I lost the first two “zip” models that you clip on your sports bra or pants, so I don’t recommend them at all. I have found that the wrist band stays on and when synced with the app is a truly mindful weight loss tool. When I first started wearing my LG Headphones around my neck I got some pretty strange looks, but they have become incredibly popular and since I’m the kind of geek that has practically strangled herself with her earbud wires wrapped around the Elliptical arm, well, these babies are both blue tooth and powerful. Supposedly drinking 2 to 3 liters of water a day will speed up your metabolism (read the NCBI study here), but regardless, staying hydrated is critical and also helps fill you up. I dropped $24.00 on this Ello Glass water bottle at Whole Foods, and like everything else, I found it for much less on Amazon – under $10.00. It’s durable and dishwasher safe. Better for the planet, but also for your body. Ello Pure BPA-Free Glass Water Bottle with Lid, Coral Fizz, 20 oz. I haven’t eaten off a regular size plate since I started enjoying nutrient-dense, high-fiber slow-carb meals. Small plates help keep portion sizes under control. Speaking of fiber, I found Goya Beans, specifically black and small white beans added to every meal (just a few table spoons will do) are just what you need to keep the scale moving in the right direction. It all started with changing the way I ate, which was absolutely mindless and mostly in front of my computer. The diet that changed my life, is The Four Hour Body by Tim Ferriss. He’s the grandfather of self-improvement and performance coaching. Yes Anthony Robbins and yes his book Ultimate Power helped frame my new empowered mindset. As fun as they are, do not buy the headbands at Free People or Urban Outfitters. They unravel and slide off, even during Pilates and Yoga and they don’t absorb jack. Try Mava’s instead. While they became a thing about five years ago, I am still in awe at how comfortable, light weight and long lasting my Nike Free trainers really are. 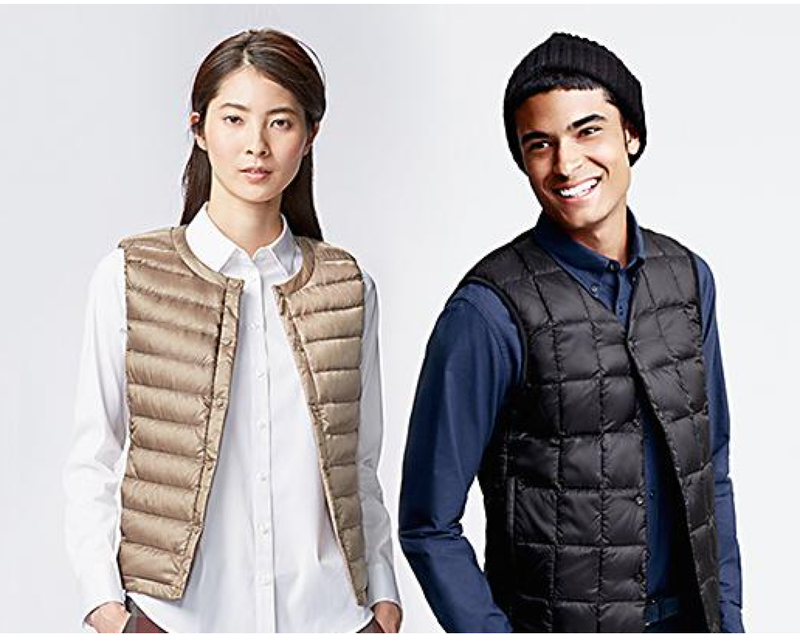 And as the weather turns cooler here in the northeast, I love my Uniqlo down vests and jackets for working out. They are inexpensive, long lasting and wind resistant. Do you have any workout favorites? Anything to recommend? I’d love to learn what helps you perform.